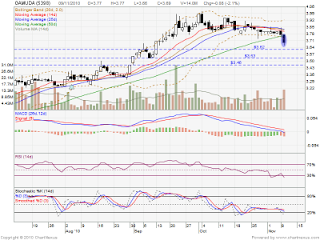 9 Nov 2010, Gamuda break down MA50 support level. Suspected will future retrace down. 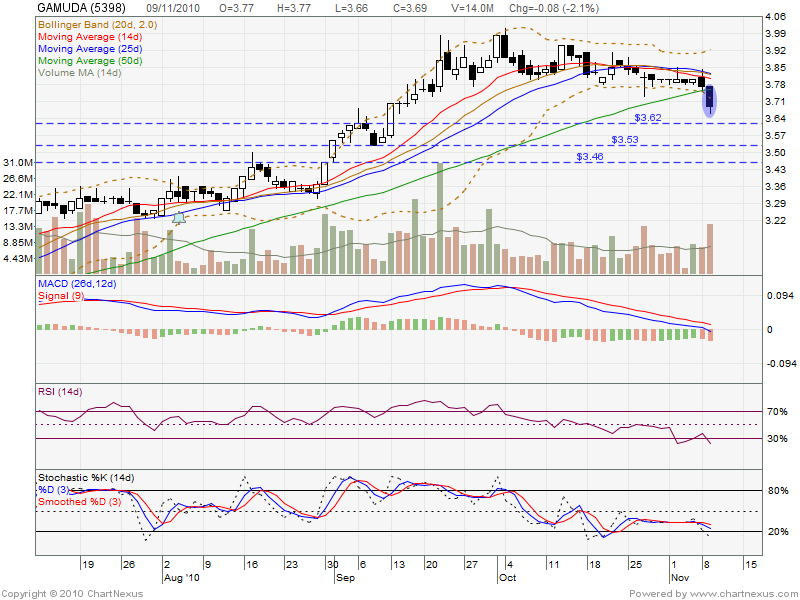 Let watch closely for next entry opportunity.